With over 4,000 kilometers of coastline, ranging from the desert in the north to the glaciers in the south, Chile offers one of the most diverse landscapes in the world. This unique heterogeneity enables individuals to experience a wide range of adventures that nature has to offer, including enjoying the spectacular scenery of the snow-capped Andes in Santiago, horseback riding in Patagonia, sea kayaking in the fjords, discovering the picturesque villages in the Chiloe islands, trekking the incredible Torres del Paine, volcano hiking in Pucón or observing the never-ending sceneries of the Atacama Desert. This incomparable biodiversity, a stable economic environment, a high level of safety and a developed infrastructure has made Chile, for the fourth time in a row, the Best Destination for Adventure Tourism in South America. Being declared as the top travel destination in 2018 by Lonely Planet, tourism has become one of the key drivers of the local economy. In 2017, travel and tourism constituted 10,4% of the countries GDP and is forecasted to rise by 4,2% in 2018. The contribution of the Travel and Tourism Sector to employment is significant, as over 10% of all jobs are directly or indirectly connected to the sector, amounting to around 835,500 jobs in total. As of now, the augmented importance of tourism for the Chilean economy is also visible in the increasing amounts of exports and investments made in the country. Visitor exports are defined as ‘the spending which is made within the country by the foreign tourists on either business or leisure trips‘ and are a key component and contribution to the local economy. In 2017, Chile generated around CPL$3,128.4 billion (USD$4,818.6 million) of visitor exports, amounting to 6.2% of total exports. This amount is expected to grow continuously attracting around 7,025,000 international tourists annually. Similarly to the visitor exports, investments into the tourism sector are also growing every year, amounting to 10.5% of the total investment in the country. The Chilean government has identified tourism as one of the top sectors for investments. The flow of foreign direct investment has continued to decrease for the third year in the row. In 2015, the FDI inflow amounted to an incredible US$16 billion, decreasing to US$11 billion and US$6 billion in 2016 and 2017, respectively. The decline in the investment can be explained by the degradation of copper ore grades and increasing labor expenses. The majority of the FDI inflows comes from the United States, Canada, the Netherlands, and Spain, which combined represented more than half of overall FDI in 2017. For those reasons, the Chilean government started to enhance initiatives to diversify the country´s economic portfolio. Since the government has identified tourism as one of the top five sectors for investments, while recognizing the importance of tourism for the local economy, it has established the governmental agency InvestChile to attract new foreign investments and promote Chile to the world. Incentives can be provided for investors who decide to invest in this sector, including co-financing or granting fiscal advantages and tax credits. Adventure tourism continues to gain larger importance over the years. The average type of tourist is beginning to change his/her traveling desire and people voyaging around the world do not want to only do sightseeing but are keen to be taken out of their comfort zone. This trend in tourism has helped Chile to gain, once again, the award of the ‘Best Destination for Adventure Tourism in South America’. Chile provides a great variety of all three categories. If you want to connect closer to nature you can enjoy a visit to one of its many national parks, such as Bernardo O’Higgins or Chiloé Island, or you can observe the vast landscapes in the Atacama Desert. In case you are passionate about sports, you can go on to trekking the Torres del Paine in the south, rafting down the Maipo River or discovering Patagonia from the backseat of a horse. Cajón del Maipo located less than an hour from Santiago is one of the most visited attractions. 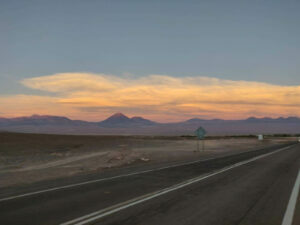 Despite the growth of sustainable tourism in Chile, the AES Gener company confirmed advances in the construction of Alto Maipo, one of the most controversial projects in Chile. Situated in the neighbourhood of Santiago´s Andean mountain range, the construction of this run-of-the-river hydroelectric project requires a system of underground tunnels, which would lead through the Andes mountains in the Maipo Canyon. The project is highly criticised by the environmental activists and NGOs for the possible pollution of the Maipo river, which serves as a primary source of water for the millions of residents in Santiago. 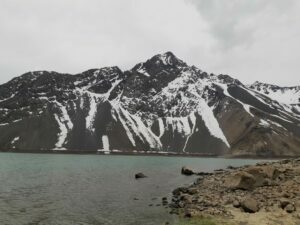 In addition to the anticipated water pollution, Cajón del Maipo is a popular tourist destination for its striking fauna and flora, including hot springs and el Yeso Dam. The sector of travel and tourism has evolved to be one of the most attractive sectors in the Chilean economy. Market opportunities, especially in sustainable tourism, are captivating the attention of many local and foreign investors. Our team at Biz Latin Hub can provide you with professional business services to support your business operations in Chile. Do not hesitate to contact Country Manager of Biz Latin Hub Chile, Allan Schulder at [email protected] for more personalized information about viable Chilean business opportunities.